Slow Fish is making a difference. 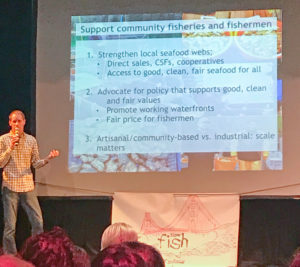 Think of it as a collaboration of fish harvesters, scientists, chefs, students, food-lovers and activists around the world working toward one goal: good, clean fair seafood for all. This was on display throughout the three-day Slow Fish 2018 event in San Francisco April 14-16. 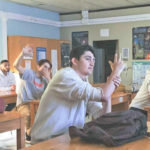 Some of these successes were writ large on the main screen on the first morning of content programming in the Slow Fish 101 presentation. Melanie Brown, a set net fish harvester from Bristol Bay, Alaska, spoke of indigenous ties to the land, the water and the resource. She spoke passionately about how wild salmon runs have sustained her family over time, and why that way of life is under threat from the proposed Pebble Mine. She also spoke of the coalition of disparate groups not normally siding with one another that oppose the mine: indigenous tribes, commercial fish harvesters, recreational fishing groups, environmental activists and politicians among others. 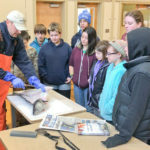 Jordyn Kastlunger reminded everyone of the importance of family connections and supporting the youth movement in fisheries as she described the trajectory of the Tuna Harbor Dockside Market in San Diego. Born of a coordinated effort of fishermen, food policy activists and lawmakers, the market features fisher folk docking on the pier and selling directly to customers. About 500 customers come every Saturday to buy about 12,500 pounds of locally harvested seafood. Jacquelyn Ross of the Southern Pomo/Coast Miwok tribes spoke about her indigenous fishing lineage along Bodega Bay, hand harvesting abalone, and witnessing the changes to the fishery wrought by temperature, current and acidification. She too spoke of family love and respect for the resource, the land and the water and the importance of sharing those stories in the hopes that others will appreciate those connections to natural resources. Paula Barbeito came from Italy to describe the work of Slow Fish International and highlight the story of the Thorupstrand Fishing Guild in Denmark. Several years ago, fishermen in the community of Thorupstrand pooled their resources to buy quota so they could provide access to the fishery without being overrun by industrial operations. The guild is a reminder of how fishermen can self-identify and protect their access by working together. These compelling narratives were just a few among many shared over the weekend. We heard from longtime fish harvester and policy activist Linda Behnken, who has fished commercially in the Gulf of Alaska and Bering Sea for over 30 years. She has drawn on that experience at the helm of her boat as she helped shape policy to protect small-scale fishing as a member of the North Pacific Fishery Management Council. We also heard from Anne Mosness, who like Linda, has spent decades at the helm and in the trenches battling industrial scale operations. 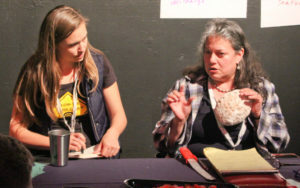 Anne described her longstanding campaigns against industrial aquaculture and genetically engineered salmon to the discussion, as well as the need to honor women’s voices and rights in fishing. 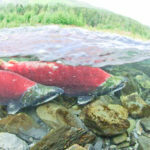 Filmmaker Mark Titus talked about his upcoming feature, The Wild, which shines a bright spotlight on the world’s largest wild sockeye salmon run in Bristol Bay, and what’s at stake in the battle against the Pebble Mine. Kenny Belov talked about his mission in opening Fish. 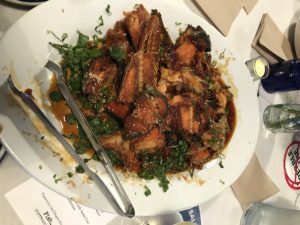 Restaurant in Sausalito and the TwoXSea sustainable seafood distribution company to provide responsibly harvested, abundant species to customers. 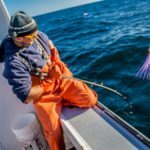 Minimizing bycatch and other ecological impacts are critical factors in determining which fish harvesters he will work with. We heard from a broad range of seafood perspectives. Lance Nacio spoke about investing in new technologies such as the plate freezers used to individually quick freeze fresh caught shrimp to preserve the out-of-the-water freshness for shipping around the country. Several oyster growers provided insight on their operations and the myriad factors that go into a successful, delicious oyster harvest. Jack Crofts brought his energy and entrepreneurial spirit to the event, trying to raise visibility and money for this mobile oyster bar, called the Oyster Barrow. 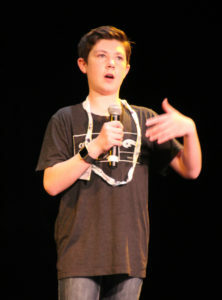 Lucas Raymond, a trawl fisherman from New Hampshire, also represented the youth movement at the event. We heard from chefs talking about smart sourcing, as well from seaweed growers like Amanda Swinimer, who described her journey harvesting, by hand, edible wild seaweeds for 17 years for her Dakini Tidal Wilds. Arielle Moinester talked about launching a company that promotes eating invasive species such as Asian Carp. Her GoWild Foods has made “The Silver Skipper” (aka asian carp) the poster child for managing an ecological problem in America’s rivers by eating it. 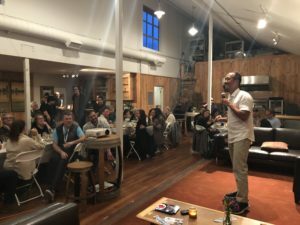 Christopher Wang describes his connection to fishing for salmon in Bristol Bay and why he started The Gypsy Fish Company as attendees listened at the We Are Bristol Bay Dinner. 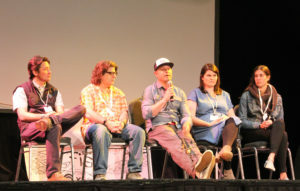 More than 150 people from as far away as Italy, Maine, Alaska, Louisiana, Massachusetts and British Columbia, and as near as Washington, Oregon and right there in San Francisco descended on SOMArts and other venues. 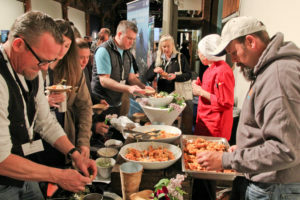 We held more than 6 separate events, including the Oyster Social, Seafood Throwdown, We Are Bristol Bay Dinner, and the final Seafood Dinner and film screenings at AirBnB. Core programming on Sunday and Monday included the World Café, 36 Pesce Kucha presentations and lots of interaction. Stellar sticky salmon at the Bristol Bay Dinner. We feasted on delicious wild salmon from Bristol Bay and oysters from Alaska down to Baja. We had fried soft-shell Louisiana shrimp and herring roe captured in a traditional method of submerging hemlock boughs in the bay during the spawn. The Slow Fish 2018 planning team took on a monumental task to coordinate all of these events in a very short time period ahead of the California salmon season. The small, but very dedicated Slow Food San Francisco board of directors managed countless on-the-ground logistics to ensure everything went smoothly. 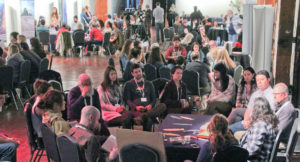 It was the collective passion of the planners and attendees for the Slow Fish mission to grow the network, share our core values and collaborate on more projects that drove the event’s success. We discussed new projects on the horizon, such as a YouTube channel for sharing videos focusing on Slow Fish values, success stories and fisheries-related topics. We also discussed launching a Slow Fish website that will become a destination for those seeking Slow Fish updates, bait boxes to help launch community-based projects like a community supported fishery, Seafood Throwdowns, KNOW FISH Dinners® and more. To enable Slow Fish folks to to ask questions and discuss issues within an informed community, we may launch an online forum. We also discussed an ambitious project to reduce domestic imports from 90% to 50% by 2050. 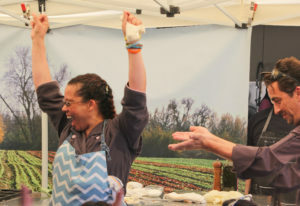 This 50 by 50 project models similar food system-related measures aimed at eating locally (or domestically) produced food. And so we charted a course for Slow Fish’s future. To most effectively create change, we need to grow the Slow Fish family and foster continued collaboration on future success stories that will help change that massive import dynamic in this country. Stay tuned for Slow Fish 2020. Top photo: Tyson Rasor of Ecotrust emcees the Know Your Fish Pesce Kucha session. Credit: Eric Buchanan. Next Post	Getting Seafood Smart!